Having a party? Hosting a corporate event? Own a restaurant or club? Why not add a fun, unique experience for your guests? Consie Sindet and Kristine Murray can provide stunning and imaginative designs for the young and old, big and small. 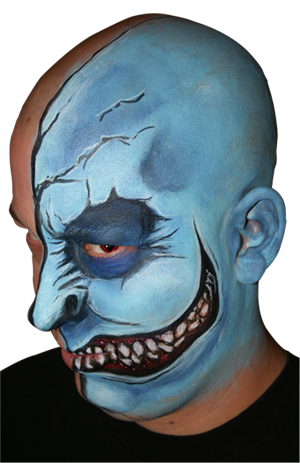 Everyone enjoys the transformation face and body painting provides. We love themes and will work to develop designs that will only enhance your event. Themes such as Princess, Pirates, Superheroes, Zoo Animals, Mardi Gras, Under the Sea, Zombies and Star Wars are just a few ideas for you to choose from. The artists are fully insured and arrive with all their own equipment. Consie and Kristine only use cosmetic grade paints and glitters specifically manufactured for use in face and body painting. These paints are safe and gentle on the skin and comply with FDA regulations. They also wash off easily with soap and water. Our company also offers hand-painted temporary tattoos, glitter tattoos and henna. The tattoo designs last approximately 5 or more days and can be easily removed with rubbing alcohol or baby oil. Henna can last 2 to 4 weeks, fading naturally over time. Our rates are based on many factors including the amount of time booked, number of guests expected at your party, what city the event is held in, how many models we are body painting, etc. Please contact us with all the details for your event. We can then provide you with a quote. A shaded area for the artists to work is mandatory. If shade is not available at the event location, we can provide our own 10×10 tent for a cost of $25. A non-refundable booking fee will be needed to secure your requested dates. Booking fees must be received within one week of the request. There will be a travel fee added for all events located more than 30 miles from Anderson, SC 29625 and Brooksville, FL 34602.